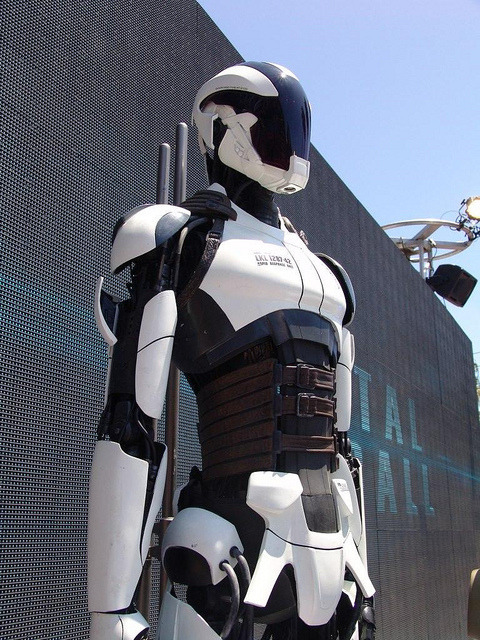 The Autonomous Defense/Assault Military Android (ADAMA), developed by UltraLohft Industries, Inc. is a cutting edge weapons platform, tailored for a wide variety of roles. Equally at home on the modern battlefield, on the streets, or in your home, the ADAMA is a force to be reckoned with. It comes off the assembly line with a powerful organic core processor, a state of the art targeting package, as well as a formidable array of leathal and non-leathal close quarters features. For customers wishing a little more bang for the buck, the ADAMA's biometric configuration allows it to be equipped with a wide variety of weapons (no hard mounts).